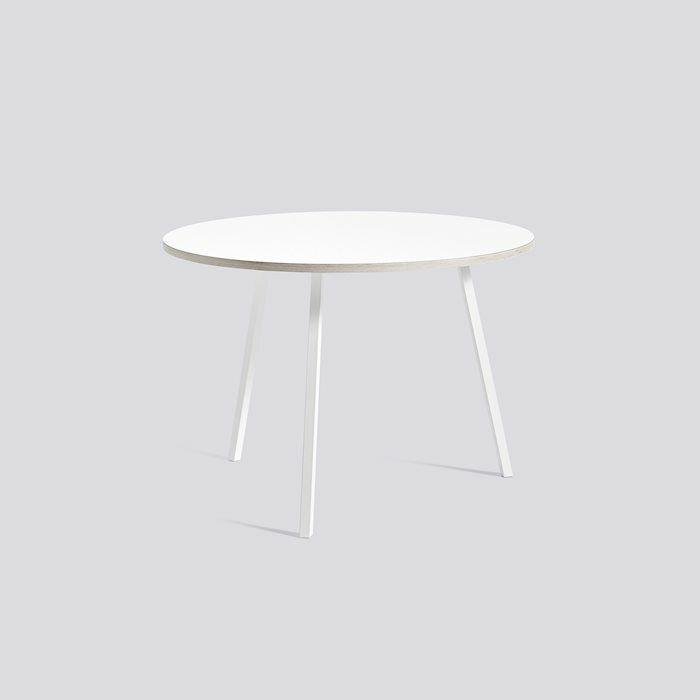 Loop Stand is Leif Jørgensen's well-designed and ultra-simple series of coat stands, wardrobe furniture and tables, all with a consistent family identity. 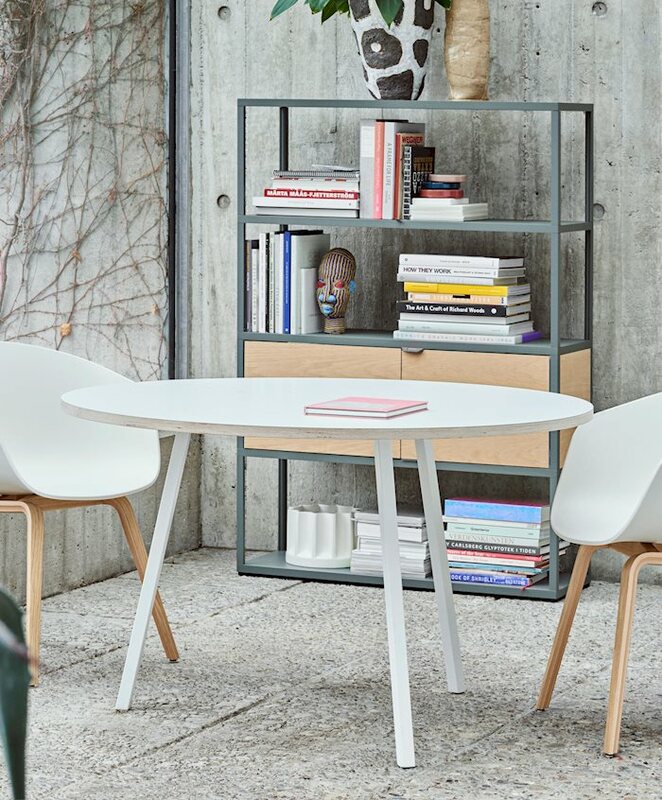 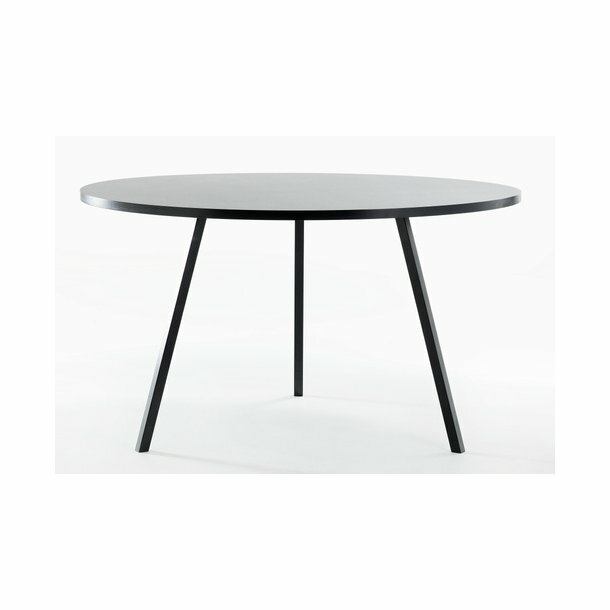 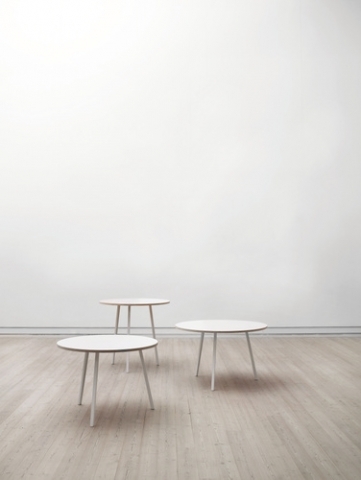 The Loop Stand Round table is available in two heights and three diameters. 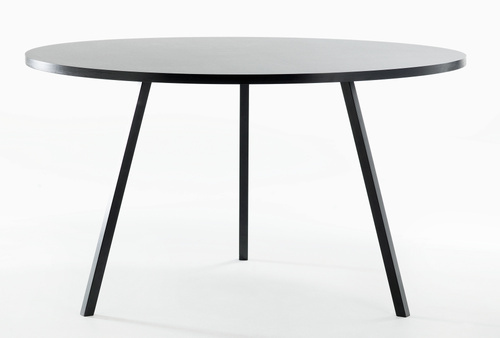 Unlike the other family members, the round table does not cross its legs.